Javier 'Chicharito' Hernandez will miss Bayer 04 Leverkusen’s clash with Hamburger SV on Friday due to a groin injury. The Mexican striker broke a lengthy goal-scoring drought in Die Werkself’s 3-2 defeat by Borussia Mönchengladbach on Matchday 18, but a muscle tear now rules the 28-year-old out of his side’s visit to the Volksparkstadion. 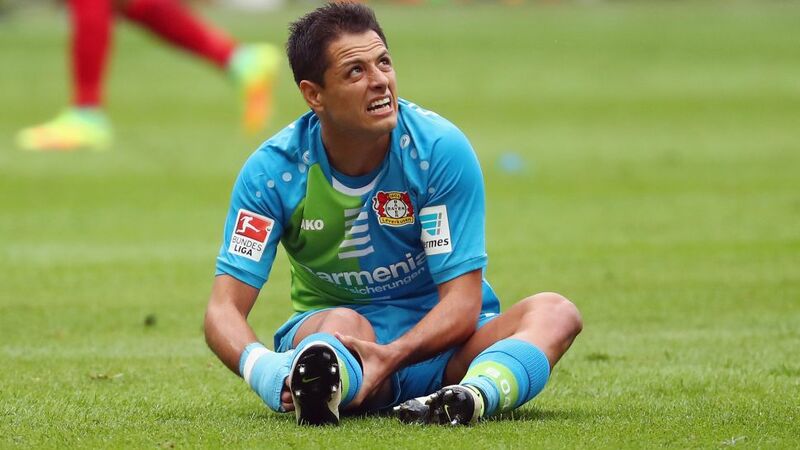 *Chicharito suffered a small adductor muscle tear against Borussia and will miss the game against HSV! Chicharito’s barren run of 11 games came to an end when he stole in at the near post to nod home a flick-on from Karim Bellarabi, and Leverkusen’s Matchday 20 meeting with Eintracht Frankfurt on Saturday 11 February looks to be the next chance to add to his six goals so far this season. Head here for more Bayer 04 Leverkusen news!